These ladies are the daughters of Benjamin Bryant Barnes and Clarissa Lee Pope. 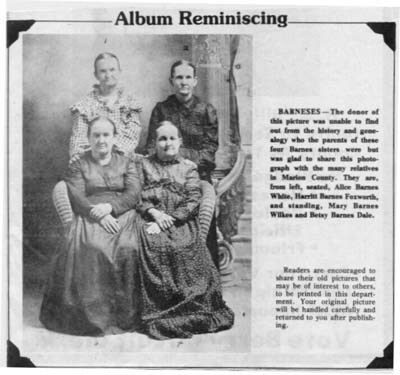 and Mrs. Harritt Barnes Foxworth passed away in 1907. The picture can be dated by these two events.